30 Ambassadors — 23 representing their own country, seven representing associations of countries, and collectively representing the vast majority of the people of the world — spoke at a Special Session of the General Assembly of the United Nations in Honor of Fidel Castro Ruz held on December 20, 2016, articulating the majority-world opinion of Castro as a defender of poor and oppressed people and of the right to national sovereignty, and as a leader in the development of the Global South and in supporting human development through health, education, science, the arts and sports. President of the General Assembly Peter Thomson presided over the event, giving opening remarks and holding a minute of silence during which the scores of diplomats assembled on the floor of the General Assembly and the many dozens of guests who filled the balcony and available for visitors who stood in silence to express their respect. The seven ambassadors speaking on behalf of associations of countries spoke first, representing the positions of the Non-Aligned Movement (NAM), the Group of 77+China (G77+China), the Association of South East Asian Nations (ASEAN), The African Group, the Caribbean Community (CARICOM), the Bolivarian Alliance for the Peoples of Our America (ALBA) and the Community of Latin American and Caribbean States (CELAC). Venezuelan Ambassador Samuel Moncada, speaking on behalf of NAM, pointed out that Fidel Castro was the only Latin American representative at NAM’s founding in 1961 at the Belgrade Conference. He held the rotating chairmanship twice. 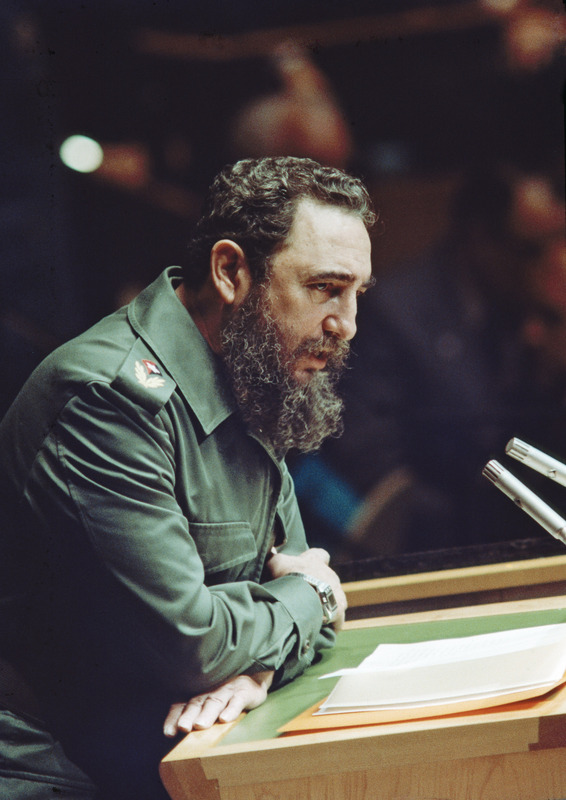 Remarking that Castro was an advocate for the Global South and defender of the developing world, the ambassador stated, “Our movement lost a leader of enormous character”. The representative from Thailand, speaking for the G77+China, a caucus of 133 developing nations, noted Cuba’s massive investments in social projects, education, health care, infrastructure and housing under Castro’s leadership, as well as the country’s ability to achieve universal vaccination against childhood diseases, the highest literacy rate in the world, a lower infant mortality than most developed countries, training of the best doctors in the world and being the first country in the world to eliminate mother-to-child transmission of HIV. Speaking for The African Group, the representative from Burkino Faso described Castro as “a major source of hope” for Africans, and said Castro made Africa “a cornerstone of his policy”. The ambassador noted that after being released from Robben Island Prison, Nelson Mandela made his first foreign visit to Cuba to meet with Fidel out of respect for the great contributions Cuba made toward the defeat of apartheid in South Africa. Additionally, Cuba continued its cooperation with Africa by sending doctors as well as training new doctors in Africa. When the Ebola epidemic struck in 2015, Cuba was the first country to send teams of dozens of specialists and nurses. He ended his presentation by stating that The African Group insists on the final lifting of the U.S. embargo against Cuba, saying that this would be the greatest homage to Castro. Several other ambassadors also spoke of the injustice of the U.S.-imposed blockade and the need to end it. The South African representative described how, in 1977-78, thousands of Cubans lost their lives fighting for the people of Angola and South Africa, stopping the apartheid South African troops from expanding into Angola, forcing them back to South Africa. He stressed the fact that Cuba was not looking for gold or diamonds or oil in Africa; instead, Cuba only wanted to see freedom for Africans and an end to the exploitation of Africans. He noted that Castro’s life demonstrated a “continuous thread of putting the welfare of others ahead of his own”, giving the example of over 2,000 poor Black children in South Africa receiving medical care in Cuba and said that South Africa will never forget Fidel Castro. The representative from Angola described Castro as a “committed and unmatched defender of the liberation of oppressed people”, and said that, for Angola, Castro will forever be present and occupy a prominent place as a friend. She also spoke of Cuba’s aid to a newly independent Angola when Angola was faced with invasion from the north and a more serious invasion from the south by the highly militarized South African racist regime. Cuba trained thousands of teachers at Cuban schools and universities, after which they were dispatched to Angola to fill the immense shortage of teachers. In the years immediately following independence, many would have lost their lives if not for the Cuban doctors willing to work in the most desperate conditions. Representatives from several countries spoke of the important place in world history that Castro’s accomplishments in his own country have attained. The Angolan ambassador listed accomplishments of Cuba under Castro’s leadership: eliminating illiteracy in Cuba in one year, lowering infant mortality from 42 to four deaths per 100,000; training more than 130,000 doctors and sustaining the highest per capita number of doctors in the world with one doctor for every 130 people, while still maintaining over 30,000 doctors serving around the world; ending child malnutrition in Cuba and ending child homelessness. The representative from Suriname described Castro as one of the most prominent world leaders who selflessly gave his life for oppressed people and equality, particularly for the peoples of Latin America, the Caribbean and Africa. He noted that hundreds of students from Suriname received scholarships to study at universities in Cuba, and that “the Government of Suriname wants to put on record and express unwavering and consistent support for Cuba”. In total, 30 representatives spoke on behalf of their own countries and for their regional organizations, mostly from the Middle East, Asia, Africa, Latin America and the Caribbean, as well as the Russian Federation and Belarus. Reprinted from Collective Endeavor, the official publication of Women’s Press Collective (WPC), an all-volunteer association dedicated to organizing independent grassroots media in the interest of low-income and working people, especially low-income working women. 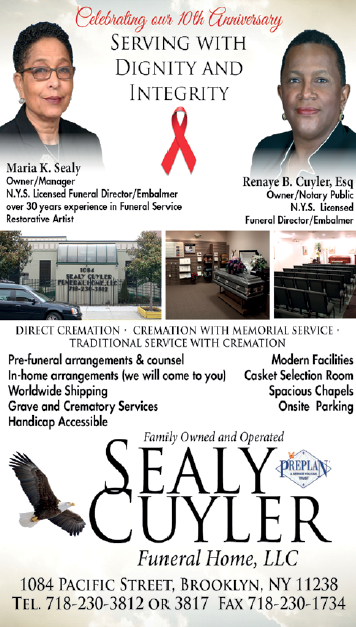 To find out how you can get involved, please call WPC at 718-222-0405. Previous articleThem Chickens… They always find their way home.